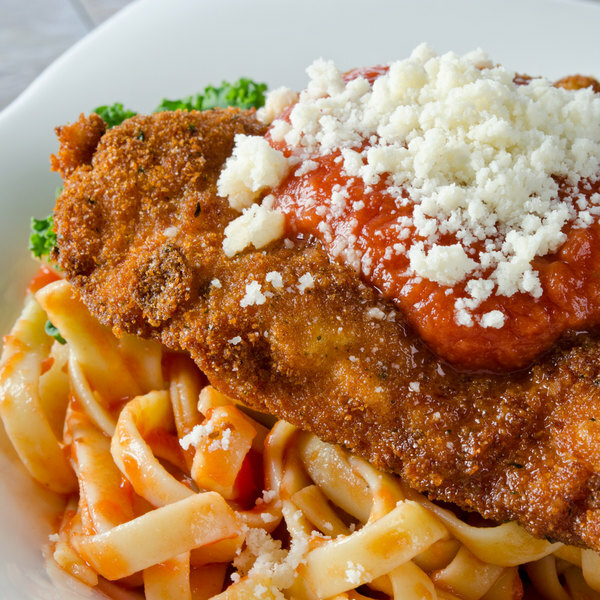 Add delicious taste and crispy texture to every bite of your signature entrees with these Italian style bread crumbs! Save time making your own breading for poultry and meats, and use these dry bread crumbs that are already reduced to an ultra-fine consistency, ready for baking or frying. When frying foods, the bread crumb coating becomes exceptionally crispy and crunchy. These tan-colored bread crumbs feature a savory blend of aromatic seasonings. Infused with onion and garlic powder, parsley, paprika, and other traditional Italian seasonings, they will help your cafe or restaurant create dishes with authentic Italian flavor. Make a mouthwatering chicken parmigiana dish, or cover pork chops, baked chicken, and more with this versatile seasoned breading. Its balanced blend of seasonings delivers a slightly sweet and spicy bread crumb coating every time! These bread crumbs are a great value! We use them for coating chicken prior to frying or sautéing. The package has a ziplock seal, so it’s great for storage. We use these in our meatballs. Just the right amount of seasoning. And the price even after shipping is so much better than everyone else. This 5 pound bag of Italian style seasoned bread crumbs tastes great. This item is easy to cook with and has all the seasons needed already in the bread crumbs. Love the bulk bread crumbs. I cook a lot of breaded chicken tenders and cutlets. I am glad I can get a size this big. The seasoning is on point. pretty much a standard bag of italian seasoned bread crumbs. they are very convenient in this size though. if you go through a lot of breadcrumbs breading or stuffing things (meatballs, etc.) this is a very handy bag to have around. These Italian bread crumbs are great for just about anything. We use them for anything from rice fritters to fried chicken to add that extra spice to the food. Can't beat the price. Bulk packaging in better than average quality plastic makes me not worry about tears upon delivery. Good product too. Consistent breading. These breadcrumbs have great flavor and are really easy to use. The bag re-seals which is really nice. They work great for chicken Parmesan or in meatballs. I recommend these to anyone. We use these bread crumbs on everything. Great on beef cutlets, any kind of chicken, pork cops and more. We also use them to make yummy baked clams. The Italian seasoning hits the spot. Great tasting on everything we fry and bake. Especially when we made turkey meatballs. Just the right amount of Italian Spices .The price is also a great deal . I used this for the first time in meatloaf, came out very nice and the spices from the bread crumbs were noticeable. I can't wait to use these bread crumbs in more of my cooking. Great buy on this product, I was a little shaky at first but after mixing with one of our recipes it tasted great at a great price. 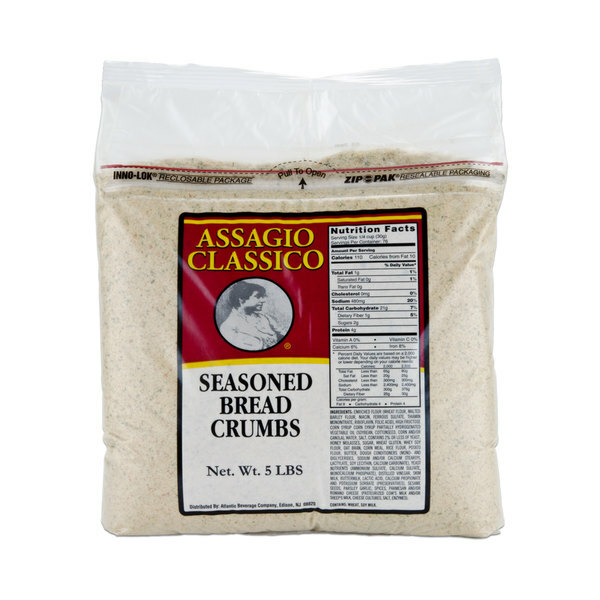 The Italian style seasoned bread crumbs are great for pork chops, chicken, and lot of different things we love them they are so good and you can't beat the price! This Italian seasoned bread crumbs are great. I use them in alot of different cassaroles and everyone loves it. And you can not beat the price. 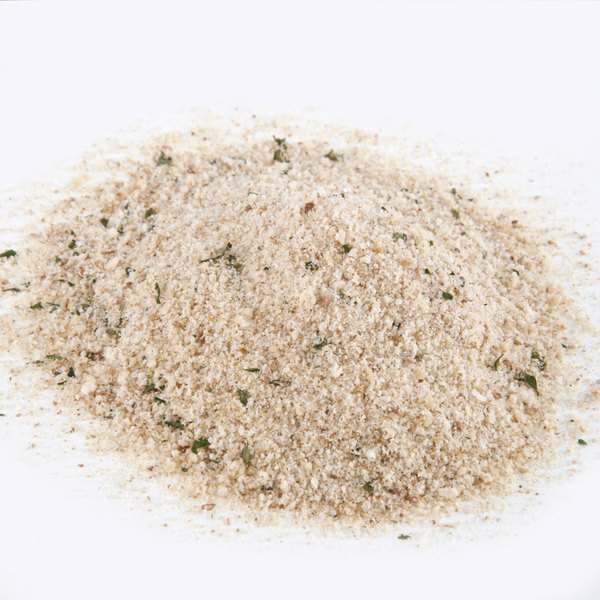 The Italian Seasoned Bread Crumbs are great.We use it in our meatloaf,or even bread our baked chicken with it. Give's the food a great flavor.You can,t beat the price and always need it on hand. great product we use them for several different applications. packaged in 6 / 5 pound bags which is nice to keep bread crumbs fresh. the price cant be beat. This is an excellent product. 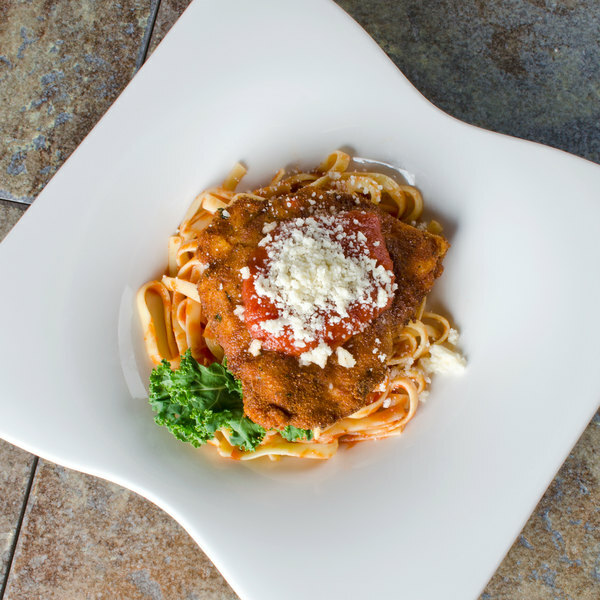 We use these italian style bread crumbs for our chicken parmigiana. They are a little coarse, and brown up pretty fast in the fryer, but have incredible flavor. Cant beat the price.